Want to know where YOU should go to vote? Primary Voting Day in Bethesda! Ilya’s Bio: Ilaya works at the nexus of local, state and federal government on issues such as the relocation of Walter Reed to Bethesda Naval. Her work in the community has led to real results to improve the quality of life of residents. She came to the area in 1992 to attend the Johns Hopkins School of Advanced International Studies and was selected to the Presidential Management Intern (PMI) program with the federal government where she managed international exchange programs. She also worked in the private sector as an organizational development consultant. She lives in Bethesda with her husband and two sons. Purple Line: We need more convenient, reliable and efficient east-west public transportation. Transit works best for users when given its own right-of-way, keeping it out of traffic jams. That is why I believe transit on the trail is appropriate. At the same time, we must preserve and improve the existing multi-use path for both recreation and commuting. The trail experience will be markedly different but I believe with the right commitment and effort, it can continue to be a resource for walkers and bikers in the area. Energy and the Environment: Buildings are the number one emitters of greenhouse gasses. Government should lead by example, making schools, offices and other facilities more efficient, while also encouraging private-sector steps through streamlined processes and other incentives. Education is key to raising the awareness of builders, owners and occupants to the environmental and financial benefits of increased efficiency. Growth: Bethesda has an accessible feeling because of the mix of residential units, offices and retail and restaurant offerings in a close in area. Smart design allows Bethesda to maintain that character by continuing to have a mix of housing options and bringing activities to the area that keep it vibrant at all times of the day. To keep Bethesda accessible we must continue to make walking and biking easy and enjoyable. As more development comes to Bethesda, investment in local and regional transportation, of all varieties, must keep pace. While the Adequate Public Facilities Ordinance (‘growth policy’) was intended to provide infrastructure to handle growth, it has two major flaws. First, money collected from a development project goes to the general fund, rather than directly to infrastructure around the development. Second, the growth policy only solves part of the problem. Much of our growth in school enrollment and traffic has come from turnover in our established single family home neighborhoods, which are not covered by the growth policy at all. The Council must rework its approach to infrastructure funding and stop seeing the APFO as a one-size-fits-all answer. Schools: Our school district is amazingly diverse and large. Given the urban and suburban nature of the district, school leaders have done a tremendous job in closing the achievement gap. Quality education is a bedrock of Montgomery County but as budget pressures increase, this may suffer. Overcrowded schools adversely impact a student’s ability to learn and a teacher’s ability to be most effective. Social and behavioral issues are exacerbated in crowded settings. We must make sure that budget cuts are realized throughout the school system and are done in such a way as to minimize the need to increase class size. We have to look at projected numbers and take them seriously. In 2015, the BCC cluster will have a middle school population of close to 1,400 students. Currently, Westland is the only Middle School. We need to make the commitment to add a second middle school to the cluster that is more centrally located, minimizing travel time and distance for a substantial number of families, and giving students and teachers a more productive work environment. Budgets: Cuts in the budget will come from programs or people. It is a balancing act. Clearly, the contracts that have been negotiated in the past cannot be the blueprint moving forward. We must find a way to adequately compensate employees with competitive salaries and benefit packages without bankrupting the county. One approach is to review health care coverage for employees and rather than have different programs for different groups, pool all employees together to offer competitive plans and realize some cost savings. Ambulance Fees: Ambulance fees that go to the general fund are bad public policy. It is dangerous to have a budget that is dependent on an untested revenue stream. Yet, the Council saw the fee as an easy way to shore up the budget and dodge dealing with deeper structural issues. My opponent may claim he opposes the fee but in the end, he voted for a budget premised on them. Speed Cameras: The speed cameras on Connecticut Avenue are operated by the municipalities that adjoin the road and have legitimate concerns about speeding on their borders. Speed cameras one of many tools that are effective at curbing speeding, and any motorist can simply and easily defeat them by following the speed limit. All our roads should be designed for pedestrians, cyclists and drivers, not for automobiles alone. Hans Bio: I live near Montgomery College by downtown Silver Spring with my wife Angela, and our preschooler Henry. As a community advocate I have fought for better public transportation in Montgomery County. In my professional life, I organized the national coalition that stopped Bush from privatizing Social Security, I have worked for AARP, and as a key early staffer for Obama, I developed the strategy that got young people out to vote in the primaries. Purple Line: This project will close obvious gaps in the existing Metro system, which is the backbone of Montgomery County’s transportation network. It will improve regional mobility, and bring needed investment to some 1960’s-era inner suburban edge cities in neighboring Prince George’s County. On top of that, it will finish the currently incomplete Capital Crescent Trail between Silver Spring and Bethesda. As councilmember I will fight to bring a high quality, quiet and clean light-rail line that will be a benefit to existing neighborhoods. Energy and the Environment: One of our biggest sources of wasted energy is a result of excessive automobile/fossil fuel usage. We have to get more cars off the roads. The only way to do that is to focus our new jobs, amenities, and residences around our existing and planned transit stations so that taking the train/bus is more convenient than driving. As for a more sustainable energy grid, I would consider a system that uses a small fraction of the county’s rainy day fund as collateral at Montgomery County banks to borrow money at low interest rates for Montgomery County businesses to install panels on the roofs of county buildings. County buildings include schools, which use less energy when students are on summer break. Taxes: Taxes are high, and we have to be mindful that residents have a choice of where to live and can always move to other jurisdictions based on how they view the cost/benefit ratio. But by any measurement, Bethesda residents enjoy a very high quality of life. One reason why is that previous Bethesda residents saw the value of pooling their resources together to develop a high-quality system of public infrastructure and services. We owe it to our successors to maintain our high quality of life by continuing to pool our resources together. Bethesda’s Character: It’s the character of Bethesda that makes it such an attractive place for residents and visitors, and we need to protect this and integrate future growth. My strategy for economic growth addresses this need and infrastructure together. See my next answer for how we connect the two. Taxes: To get through our budget crisis, everything will have to be on the table. We’ll have to stop funding some priorities that we care about but can’t afford. Economists consistently recommend counter-cyclical budgetary planning. Most governments around the world spend more during good economic times and are forced to cut back during tough economic times. When we do our budget process, we need to incorporate the concept that the present economic situation is not forever. We need to resist the political pressure to increase our spending commensurate to our receipts during good times so we can better save for times like this year. Ambulance Fees: I am opposed to passing on ambulance fees to individuals. I have less concern about fees leveraged against insurance companies, but individuals should not have to pay $300-800 for an ambulance ride. As designed there are individuals who will receive the bill. Speed Cameras: This question addresses two distinct issues. There are reasons why the two roads have different speed limits. Connecticut Avenue is narrower and has no shoulders in most places. I defer to the traffic engineers’ expertise on the speed limits. Speed limit cameras have to be requested by a local government. The cameras on Connecticut Avenue were all requested by locally elected bodies and are placed in front of community institutions on stretches of road that have long histories of speeding. When I drive on Connecticut Avenue, I am extra cautious, as are the other motorists. The cameras cause traffic to slow down in their immediate vicinity. Cameras are only an inconvenience to a motorist if they wish to speed. Robert Dyer is a professional musician and internationally-distributed recording artist. He has a B.A. in History, and is an advocate for the disabled and victims of domestic violence. 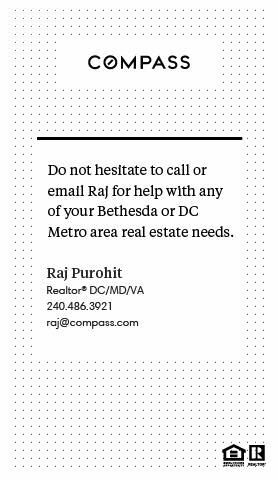 Robert is a lifelong resident of Bethesda, and helps promote Bethesda businesses on his Twitter account @BethesdaRow. Yes. I have supported the Purple Line from the beginning. It will not only serve Bethesda, but also provide a new option to residents in the eastern part of the county, which has been underserved by transit. The big question is the funding, at this point. I support the Purple Line as a transit project, but we must be careful to elect a councilman who will protect residents and businesses along its path from massive overdevelopment. Energy and the Environment: With tight budgets ahead, I don’t believe we can afford to offer the sorts of tax credits and rebates we have in the past. What we can do, is to expand use of the Bethesda Circulator. I’ve also proposed having developer-funded circulator buses in other urban areas of the county. Bethesda, Washington, and Baltimore have all shown that this downtown transit option will attract riders. In addition, we should have shuttle vans at neighborhood shopping centers that can transport residents to the shopping center, or the nearest bus stop/transit station. Growth/ Old Bethesda: For better or worse, this seems to already have been decided. Norfolk Avenue appears to be planned as the next Bethesda Row. I think Bethesda has been better planned than other areas of the county, so I am supportive of the new restaurants and businesses, as long as the infrastructure comes with it and developers pay for it. Obviously, the difference in sidewalk crowds between Bethesda Row and the rest of downtown Bethesda speaks for itself. Some parts of town are just dead at night. But attempts to duplicate Bethesda Row all over the county are just misguided urban planning. Bethesda is Bethesda. The current council has failed to build the infrastructure to support the massive development they’ve approved. If elected, I will change that. We must collect impact taxes on all development to pay for infrastructure. Currently, roads in Bethesda are well over capacity. I’ve gone back into the documents and master plans, and found out that much of the infrastructure planners included to support development was never built. Did you know at least 2 freeways in Bethesda were scrapped? I’m the only candidate who supports building the M-83 highway upcounty, and the Rockville Freeway. Property and energy tax increases have devastated working families, seniors and businesses. That’s why we need to enact a Fiscal Plan of the sort I’ve proposed. It will eliminate our structural deficit so we can cut taxes. Much is going right, but students with special needs, or for whom English is a second language, are not being well-served. We also have achievement and graduation gaps. 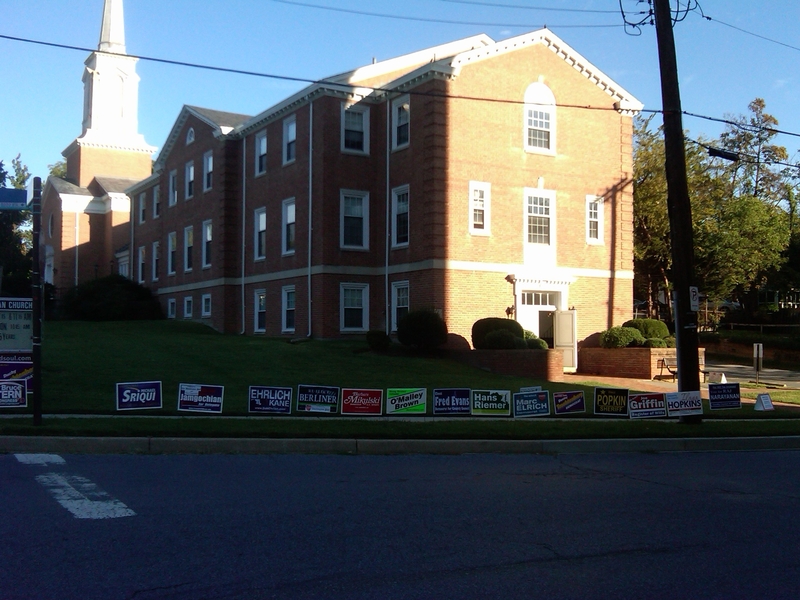 I will fix this in two ways: First, I am the ONLY candidate who supports full Maintenance of Effort funding for MCPS. We need that money to better serves special needs and LEP students. Second, I have an achievement gap plan to close the nutrition, early education and technology gaps. The centerpiece is funding all-day Pre-K for every child. Education: That’s pretty easy, actually. Full MOE funding allows us to maintain or reduce class size. I remind you that the school funding cuts approved by my opponents have increased class sizes this fall. If we allow cynical, developer-beholden politicians to continue to thumb their noses at the state MOE funding law, class size will increase every year. Vote for me to restore full funding for MCPS. No. They make some people afraid to call 911, the money goes to the general fund – not MCFRS, you already pay taxes that cover your ambulance service, and it will hurt fundraising for our volunteer fire departments like the BCC Rescue Squad. How absurd is the ambulance fee? It will bring in $14M and we supposedly need that, right? So why did the council spend $172M on the Webb Tract, $17.2M on Costco and the Fillmore, $5M on an infantile pedestrian safety campaign, $7M on paid vacations for county employees. I think cameras should only be used documented problem areas, or in place of the infernal speed bumps in residential neighborhoods. Many of the cameras are “gotcha” cameras on roads that have an artificially-low speed limit. Some of the worst examples are where the speed limit changes right before the camera. Those types of locations are clearly designed to make money. Of course the council wants the revenue. It’s time to elect councilmembers who can actually manage the finances, and won’t use citizens as ATMs to satisfy the special interests that get them elected. Bill’s Bio: I am a Somerset Town Councilmember and Chair the Friendship Heights Transportation Advisory Committee. I am a civil rights lawyer with my own law practice. I am a Navy veteran and former school teacher. I received my business and law degrees from public universities. I also received a Certificate in State and Local Government. I’ve been married to Professor Christine Haight Farley for 20 years. I’m the father of two school-age children. I was Somerset’s Delegate to the Montgomery County PTA. I enjoy coaching MSI soccer, biking on the Capital Crescent Trial, and spending time with my family. On the Purple Line: I support the Purple Line because we need to improve our public transportation system and decrease traffic. The Purple Line will also help Bethesda businesses. I will ensure that the vital Purple Line project has minimal impact on our beloved Capitol Crescent Trail. Energy and the Environment: I would push for more and improved public transportation options to decrease traffic and improve the environment. As a Somerset Town Councilmember, I worked with the Council and Mayor to enact legislation that increased recycling and reduced pollution, and to bring a pilot LED light program that will save energy. As a Delegate, I would like to sponsor a renewable energy law that would create a state program to encourage the growth of a solar energy companies in the state. Education: I will work hard to improve public education at all levels, including making higher education in the state colleges and universities more affordable. I will work hard to make high schools better equipped to develop the whole student. Also, head start and elementary programs would be areas where I would work to create legislation so all children can thrive and grow academically. Keeping class sizes small is my top priority for our schools because small class sizes are a key feature of excellent schools. Our public school populations are increasing dramatically. At the same time, we are facing school budget cuts. We must vow not to balance the budget by shortchanging our children. One of the things we must demand from our county leaders is better planning. As a public school parent, I have seen school building projects that are inadequate for the population almost as soon as they are completed. Economic Challenges: If elected, I will sponsor legislation to create an independent General Accounting Office that will ensure responsible spending. Once we take an inventory of State expenditures, we can make reasoned and educated choices of where to cut. In addition, if we all work to get the 227,000+ unemployed Marylanders back to work, the increased revenue will solve many of the budget issues. Ambulance Fees: I do not support ambulance fees. I rely upon the brave firefighters, EMTs and emergency professionals that have explained that a fee will cost lives due to some having a fear of calling due to the high costs. Speed Cameras: I would rely upon the traffic engineers to explain the issues of appropriate speed limits on State roads. The solution here is a forward thinking plan that will provide public transportation that is safe, efficient and affordable. I am running for Council, because I believe I have something to offer in a time of crisis. With a doctorate in economics, four children educated in public schools, and years of service to our community, I offer unique skills to resolve the tough problems faced by County government. The new council will inherit deep budget cuts. Over the next four years the council will face further cuts if the economy and revenues do not improve. This will require smarter decision making, and an understanding of how to set priorities and best serve the people of our county. Purple Line: Yes, unequivocally. It will provide a critical public transit choice for the people of our region. It has been estimated that the Purple Line could take 20,000 cars off our congested roads and service an additional 48,000 riders, improving the environment and our lessening our dependence on fossil fuels. Energy and the Environment: There are many incentives currently offered through the Federal Government and PEPCO and I would work with our Federal Government officials to publicize these so that people know what they are entitled to already. I would work closely with local environmental groups to listen to their ideas and weigh them in terms of what is possible to accomplish given our economic situation. Education: As a past president of Montgomery County Council of PTA’s and as a member of the Commission on Children and Youth, I have a greater understanding of the issues facing our schools than any other candidate. While we have a very good school system, I am concerned that we still face a significant achievement gap in graduation rates that imperils the future economic health of the county. I will continue to support programs that engage youth; seek additional funding for the county’s summer jobs program through private partnerships; and work with the Board of Education to expand career options. Ambulance Fees: Yes, I would support the fees if there are sufficient protections in place to ensure the billing system works as proposed (so that our residents never see a bill) and if the monies are used to expand fire and rescue protection across the county. Speed Cameras: Pedestrian safety is extremely important and essential to ensuring that people are willing to get out of their cars and walk. Both Connecticut and Old Georgetown are state highways, with the speed limits set by State. As a councilmember, it would be in all of our best interest for me to listen closely to the concerns of the citizens who live and work in that area, and be an advocate for their needs with our state legislators. Charlie Bio: Starting with Ben Cardin and former Cong. Gladys Spellman, I have extensive legislative experience and need no learning curve. An attorney and adjunct professor, I have been counsel to our state senate delegation, and advisor to several governors on education, election reform, health care and smart growth issues. Purple Line: Yes. I favor more mass transit to provide an alternative mix of transportation options. Its part of a smart growth policy and helps lessen both road congestion and our carbon footprint, environmentally. Energy and the Environment: I favor tax credits, grants and rebates for both residential and commercial conversion to alternative sources of solar and geothermal energy. Utilities should be required to rely on long term leases of offshore wind power as part of their renewable energy packages. Taxes: I have been canvassing neighborhoods almost daily and voters are willing to pay taxes for essential services and better transportation options. So, it depends on the tax and what the money is spent on. In general, however, we need the right climate to attract and keep small businesses and so, double taxation on small businesses is an issue. Kids, education, health: Many parents enjoy good relationships with both the teachers and principals at their local schools. However, they have complained about the lack of physical education in the elementary schools. For 12 years, I have worked on the childhood obesity issue in Annapolis, focusing on adequate gym facilities, alternative options in school vending machines and the correlation between more PE and higher test scores, as established by a CDC study. Ambulance Fees: I dont favor them. While I understand that there is supposedly a waiver if there is no insurance or other coverage, the very personnel responsible for the care do not want the fees or money. Speed Cameras: As a delegate, I would not be directly responsible for the locations of these cameras. But, I would be happy to set up any meetings with traffic officials to discuss the need or lack of need for specific locations. Economic Matters: I would not have favored spending 100 million dollars on the race track industry. That money could be earmarked for better purposes. Also, there is some historic redevelopment in baltimore city that got state grants at time when they should have been supported by private grants and investment. Friends — there is a lot more info on candidates that we will get up as soon as we can and please feel free to add in info or links we may have missed and to challenge anything that you think is inaccurate or doesn’t paint a complete picture of the candidates — cheers! Mark’s Bio: Mark D. Fennel has a Heritage Foundation and Citizens Against Government Waste pedigree and was educated at Walter Johnson High School (’84) and Vassar College. Three-time Republican nominee for Montgomery County Council, Mr. Fennel ran against former Councilwoman Marilyn Praisner in 2006, and former Councilman Don Praisner in 2008. A life-long resident of Montgomery County, Mr. Fennel is the proud father of a three year old son, Caleb, and currently lives in the Byeforde/Rock Creek Highland subdivision nestled between the Town of Kensington and Chevy Chase. Purple Line bus option NOW! First, restore the Transportation Trust Fund. Former-Gov. Robert L. Ehrlich has pledged to put $60 million toward improvements for local roads and public safety. Explore public/private partnerships. Bus lines are cheaper than train lines to install initially. Buses could utilize a transitway for a portion of their route, but deviate into neighborhoods like Long Branch and Langley Park, continue beyond the transitway’s terminus, or modify routes for changes in demand. Finally, it’s quite possible that it will be easier to secure federal funds for a bus way. Montgomery offers property tax credits on residential, owner occupied structures equipped with solar, geothermal, and energy conservation devices. The geothermal and solar property tax credit is equal to 50% of the cost, up to $5,000 for heating, cooling systems, and electricity generating systems, and $1,500 for water heating systems. In addition, Maryland permits local governments (Md Code: Property Tax 9-242) to offer property tax credits for high performance buildings if they choose to do so. The amount (10-75%) and term (3-5 years) varies. We can improve on this. Unfortunately, Montgomery’s Home Energy Loan program is on hold. There’s nothing wrong with reasonable taxes to support the vital services we expect; however, I’m troubled by the White Flint Sector Plan’s combination of financing mechanisms, such as a development district, designated with a temporary special tax on commercial and residential properties. In my 2006 council race, I signed the Maryland Taxpayer’s Association “No New Taxes” pledge. In my 2008 council race, my campaign theme was support of the “Ficker Amendment,” which gave teeth to the Charter limit on property tax collection. Today, the challenge is to ensure the 2010 energy tax and phone tax sunset. Foster relationships with small-businesses and community banks. Community banks rely on both local market savvy, legwork, and personal contact to make their lending decisions. In addition, can help borrowers who may have slow cash flow due to the recession. Prevent the State Highway Administration from shutting down vendors in the right of way, like Rob Ficker’s Truffula Farm Market on River Road and Carderock Springs Drive in Bethesda. Due to this shutdown, he abandoned local produce vending all together. Encourage Google’s venture with Bethesda businesses to provide a free online tour of their establishments. We need to stick to Master Plans which set the allowable densities based on infrastructure. I’m opposed to the zoning change, which would allow hotels to qualify for additional density in Bethesda. If approved, new hotels designed as mixed-use developments could qualify for as much as a third more square footage than currently allowed. We need to tread lightly when it comes to special exceptions to county zoning laws, especially when traffic is monitored after the approval. The growing trend for increased densities in Montgomery is troubling. I suspect it’s a reaction to tanking revenue streams. I encourage a Board of Education to appoint a Superintendent with a track record of cutting costs, without sacrificing results. Under Weast, the graduation rate has fallen from 91% to 87% and SAT scores have declined slightly; however, scores on state standardized exams have seen overall improvements. My issue, is that Fairfax County spends $2,000 less per pupil but achieves comparable results. The law is vague; however, I support the Office of the Inspector General to ferret out instances of government waste. In addition, support merit pay; reduced administrative staff; Charter Schools; and, school vouchers. Class size increased by approximately one pupil per class. We’ve been surprised by 800 additional students county-wide. For example, Carderock Springs Elementary School was hit with an increase. There are two parts to the problem, the number of teachers and the bricks and mortar; that is, the physical buildings. We need to keep school construction in the Capital Budget on schedule, and add portables when necessary. Utilize 0.6 teachers; that is, part time teachers to break up larger classes. Maryland just received a $250 million “Race to the Top” windfall from the federal government. The vote was 5-4 and Councilman Phil Andrews will reintroduce. Vote Fennel to repeal. The Live Nation music venue just received $2.6 million. Indeed, the same council members who quickly voted for $200 million in “Phantom COLA’s” (later repealed), think it’s ok for taxpayers pay 90% of teachers health care premiums, spent $2.4 million to divest out of Sudan, and ignored the costs of legislation related to transgendered people, trans-fats, and contracts for household workers, are playing the “we’re fiscally prudent, you’re not card” over transferring $14 million to our health care premiums. Take out speed cameras NOW! I’ve consistently been opposed to speed cameras, on record during my 2008 campaign for County Council against the late-Don Praisner. It’s a law enforcement issue; indeed, a large percentage of traffic infractions are committed by residents who have outstanding warrants. When Police Officers make traffic stops, they can “pick up” these folks who have outstanding warrants, cameras can’t. Speed cameras can’t be placed on curves, or where there’s excessive traffic; consequently, some are placed in areas where there are a low amount of accidents. The County received approximately $17.2 million in FY 2010 revenue.